Happy Friday, friends! 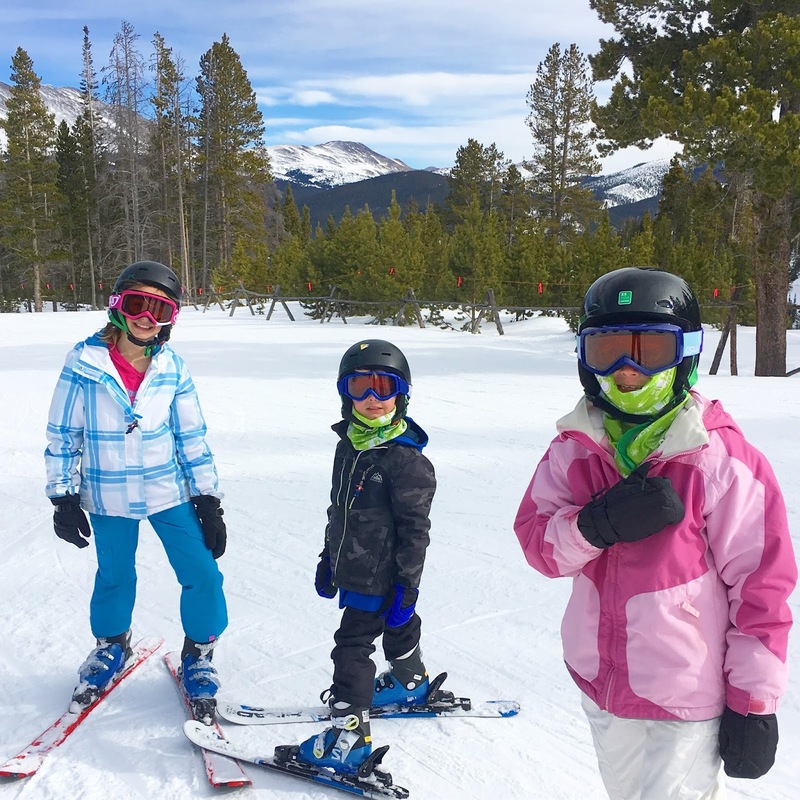 If you follow along on Instagram you will know that my family has been on a winter break ski trip in Colorado. We got home at 3:30 AM this morning and are all dragging a bit. I plan to share lots and lots about our trip next week, but today I wanted to share about some amazing beauty products that we recently tried from Beautycounter. 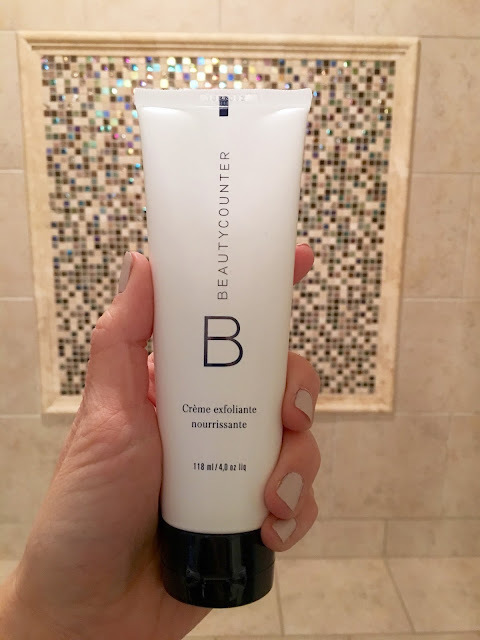 I'm sure most of you have heard of Beautycounter, but if you are like me, you might not really have known what they were all about. My childhood best friend and the maid of honor in my wedding, Kristen, started working with Beautycounter a few years ago and since then I have learned a lot of information. Their company was started by woman who learned the truth about many of the toxic chemicals in beauty products...from shampoos to soaps to make up and even baby products. There is little regulation in the United States when it comes to these products and she wanted to help develop products that were still just as effective, but that were safer for your health. I absolute loved that and learned so much from this video HERE. I've tried a variety of products from Beautycounter and wanted to share some of my favorites with y'all! Plus, make sure you read to the bottom of this post for a special discount offer from Kristen. I love make-up, especially lipstick and lip gloss, but I'm really picky about my lipgloss. I don't want it to be too thick and sticky, but also, not to watery and runny. Also, I can't stand when it gets all goopy around the edge when you twist the top back on. 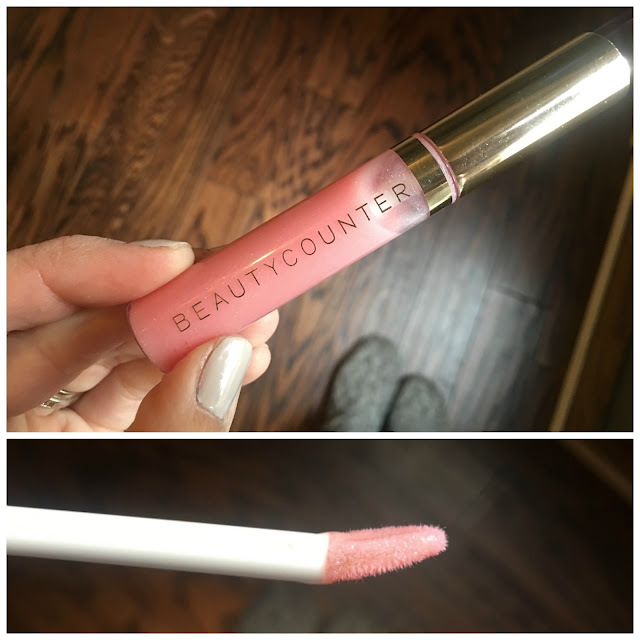 All of that to say that I just LOVE the Beautycounter lip gloss. It is the perfect consistency and it has Vitamin E, which is a powerful antioxidant with hydrating ski and conditioning elements. This one is Blossom, which is a perfect pearly pink! Also, the applicator tip is at an angle, which makes putting it on that much easier. It's the little things people! While we are on the topic of lips, I have a confession to make. I am obsessed with chapstick. I can't stand to have my lips dry and I am constantly adding some sort of moisturizer to my lips. About a year ago I started having all sorts of problems with my lips. At first I thought my lips had gotten sunburned at the lake so I kept applying more chapstick. The problem didn't get better and it became so painful that after a few months I finally went to the dermatologist and they confirmed what I had already been suspecting...I was having an allergic reaction to something in one of the many chapsticks/lipsticks I was using. Because I had them stashed everywhere...in my car, in my desk, in my purse, on my nightstand, everywhere...I had no idea which one was causing the problem. My dermatologist suggested that I stop using all products on my lips except one so that I could figure out what was causing the problem. All of that to say, now I am VERY careful about what type of products I use on my lips and this lip conditioner has been wonderful. It soothes and softens my lips with peppermint and rosemary oils and I don't have to worry about having any awful allergic reactions. I've really been putting this to use this winter when my lips are even more dry than normal. Another thing that I have loved using this winter is this nourishing cream exfoliator. I feel like my skin is always a little dry and blah this time of year and this exfoliator helps take away impurities with non-abrasive jojoba beads. Doesn't that just sound luxurious?! It's like a spa treatment in the comfort of my own shower. I mentioned that we were skiing earlier this week and we had the best time! We were lucky because it was actually really warm for skiing (like upper 40's warm) and very sunny most of the time we were there. Those are always the times that the sun sneaks up on us and causes sunburn though. I made sure to bring the Beautycounter stick sunscreen with me on our trip so I could easily apply and reapply on the kids and myself. I use this stick face sunscreen all year long. It goes to the beach, pool and lake with us all summer and it was spotted on the ski slopes with me this winter. 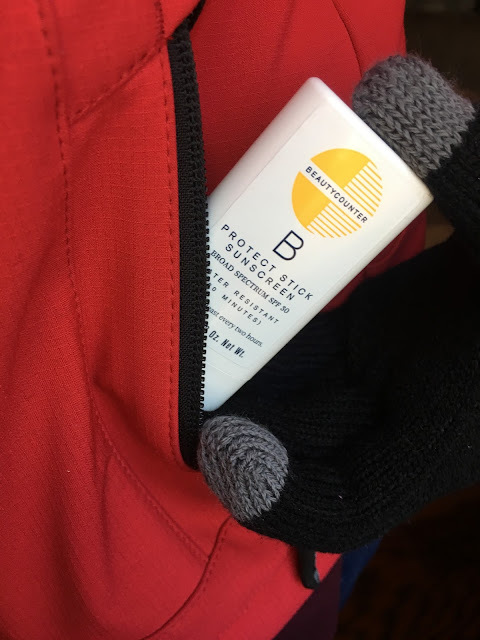 I'm sure you have all read the articles about all of the unsafe sunscreens out there, but I have found the safe ones usually are very thick, white, and hard to rub in. It drives my kids crazy, but actually this stick they love because it goes on CLEAR!!! Yes, it is the best stick sunscreen I have found and it smells great, too! An added bonus is that it was small enough to keep in my ski jacket pocket all week long. My vacation just ended as Jen's was beginning. 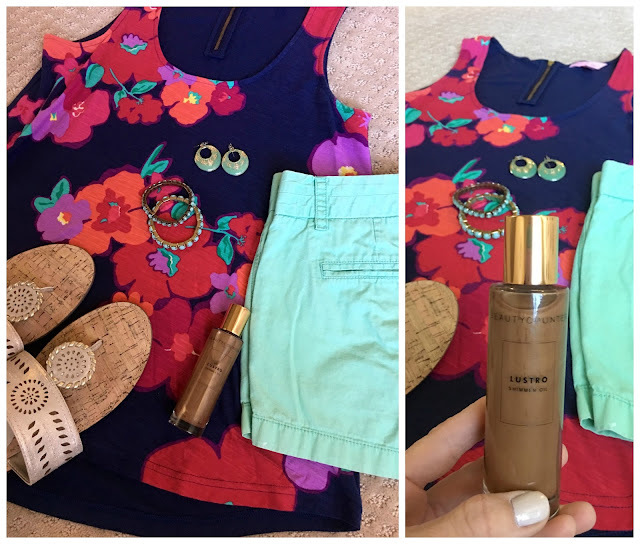 She was so happy to have this jet set travel pack to take with her so she knew she would have safe products to use for her family, even while away from home! And one last product I am super excited about is this Lustro Shimmer Oil. Here's the thing. We just got done with a cold winter vacation and next week we're going to be on a little warm weather weekend getaway. I already dreaming of warm, sunny weather and I'm planning outfits with shorts, tank tops and sandals. BUT, my skin is pretty pale and plain after winter so I'm excited about getting a little hint of shimmer with this dry oil. It creates sun-kissed radiance and a bronzing effect that can be used on the face and body. My white legs and arms are going to NEED this. Side note...these sandals are a Jack Rogers look-alike from TARGET! I could never wear Jack Rogers because the soles are so hard, but these Sam and Libby ones are SO comfortable and I love that the gold color will match practically everything. They always sell out so fast so I would order quickly if you want to find them in your size! If anyone is interested in ordering any of these or other Beautycounter products from my friend, Kristen, she is offering 15% cash back on all orders (pre tax and shipping) for our readers through the end of February. No promo-code needed, but for all orders she will either PayPal or Venmo your cash back! Can't beat that deal! For anyone interested I would highly suggest you like Kristen's Beautycounter Facebook page. She is always sharing lots of tid-bits and special offers. 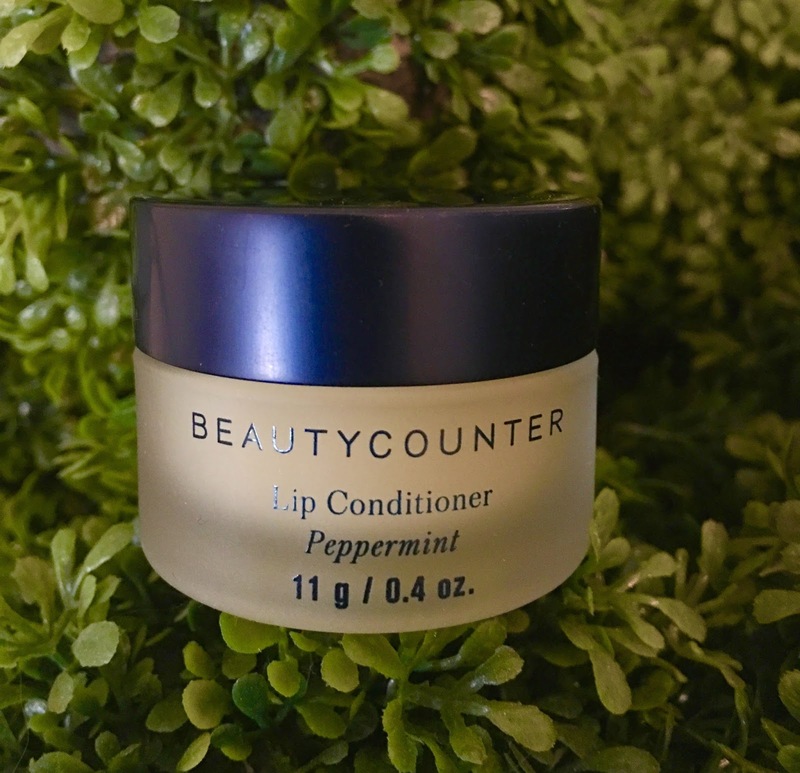 Have you tried any Beautycounter products? Which are your favorites? I'm always on the hunt for more products to try!